Do you eat breakfast at work? I often eat breakfast at the office — I'm just not hungry before leaving the house. 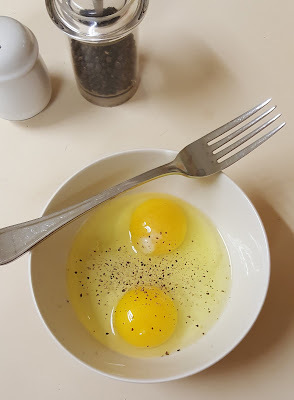 My favorite low carb breakfast: eggs. Which is why I've been experimenting with making scrambled eggs in the microwave in my office kitchen. 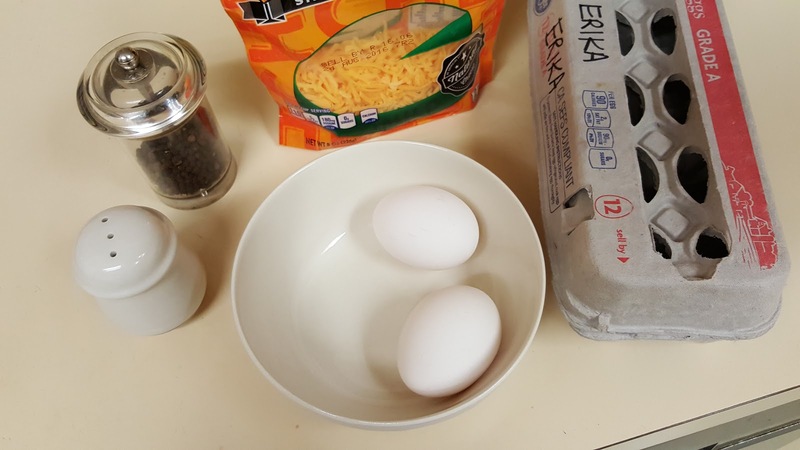 I've found the secret to making fluffy, moist scrambled eggs that aren't dry or rubbery. It's all in the timing. The trick is to undercook them, then stir briskly to break up the curds and use the residual heat to finish cooking the eggs. 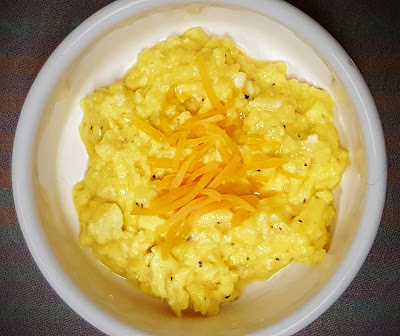 The result: creamy, dreamy scrambled eggs you'd think were made on the stove. 1. 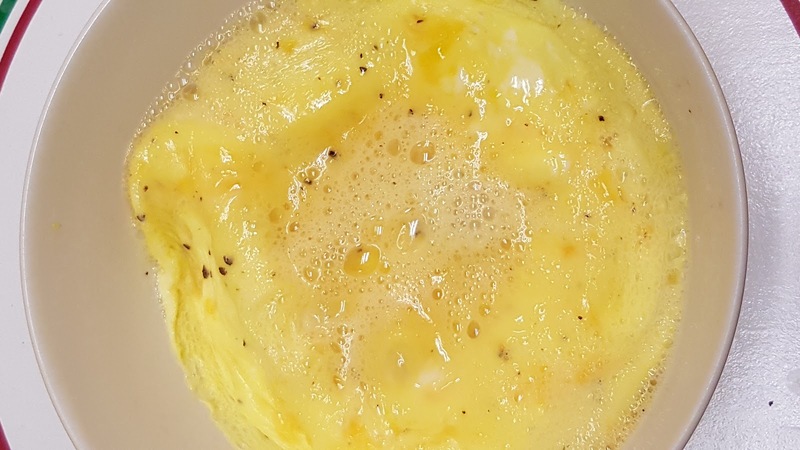 Keep a dozen eggs, a bag of shredded cheese, and a stick of butter in your office refrigerator. My office has salt and pepper, but if yours doesn't, bring that too. 2. Crack two eggs into a bowl. We have real utensils and dishes in our office kitchen, but paper bowls work fine too. Add salt and pepper. 3. 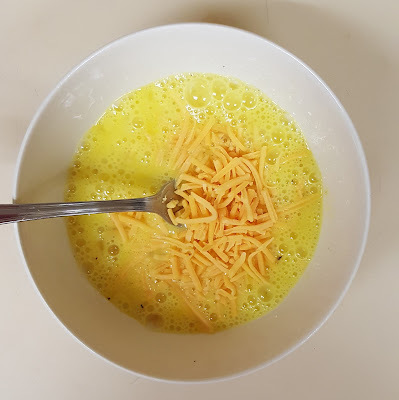 Add shredded cheese (optional) and a few bits of cold butter. Whisk it all together with a fork. 4. Microwave on high for 30-60 seconds. I'm giving a range here because microwaves vary. Start checking after 30 seconds. 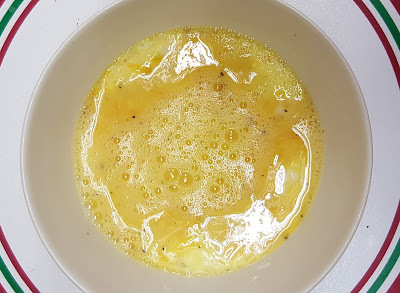 The eggs should look liquid, with just the first solid curds forming around the edge. Stir vigorously with a fork, blending the curds into the uncooked eggs. 5. Return the bowl to the microwave and cook another 30-45 seconds. It is very important not to let the eggs cook too long in this step. They should look like the photo above when you take them out: Cooked around the outsides, but liquid and raw in the center. 6. 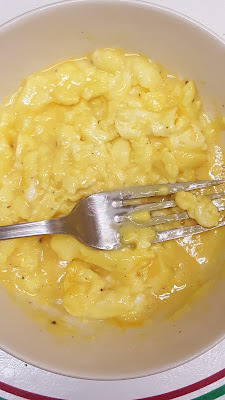 Stir again, very vigorously, breaking up the curds with your fork and mixing the uncooked egg into the curds. The residual heat will cook the remaining raw egg without turning it dry and rubbery. 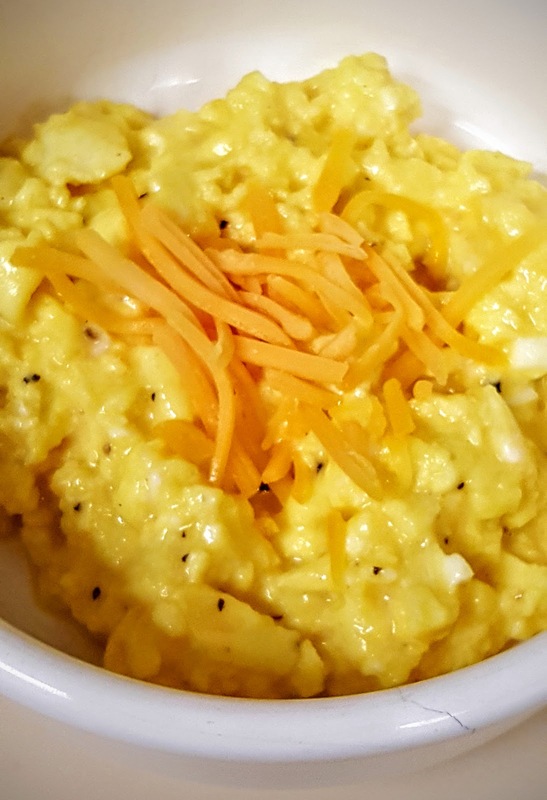 You'll end up with a creamy bowl of perfect scrambled eggs. 7. Sprinkle with more shredded cheese if you like and eat immediately. Warning: Your coworkers may start asking you to make their breakfasts, too. 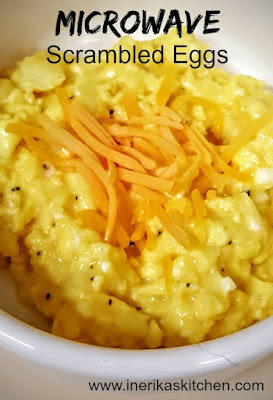 Perfect scrambled eggs every time, but DEFINITELY strain this!!! You will be more satisfied with the silky texture. @Wait till you see - strain before cooking or after? Try this for something different, change out the cheddar for Mediterranean feta and add julienne sun dried tomatoes. Try this for a change, switch out the cheddar for Mediterranean feta and add julienne sun dried tomatoes. I add a teaspoon of grass-fed butter and teaspoon of milk to 3 whole eggs. Gives them just the right amount of fat they need to not become rubbery. Cook them for approx 2 mins.